Garage is a car lovers dream! MLS#21632148. eXp Realty, LLC. Bayhill - Fabulous finished basement with daylight windows, full bath, bar & potential for a 5th bedroom w/ the addition of a closet. MLS#21631854. Keller Williams Indpls Metro N.
Carrington Woods - Small friendly neighborhood has a private path to the adjacent Clay Middle School. MLS#21632330. Platinum Realty Group. Village Of Mt Carmel - The pool is open and ready for summer fun! MLS#21628791. RE/MAX Ability Plus. Eden Estates - Picture yourself biking to gazebo summer concerts, Saturday farmers markets, Brookshire golf & pool, movies at Flix Brewery, art festivals...Don’t forget award-winning Carmel Clay Schools: Woodbrook Elementary, Clay Middle, Carmel HS! MLS#21632129. CENTURY 21 Scheetz. Woodland Springs - The lower level is finished with a flex/ Recreation room having luxury Vinyl Plank flooring & another side set up as Home Theater, custom made bar & beverage refrigerator. 3-season porch overlooking back. MLS#21632202. Encore Sotheby's International. Heather Knoll - Many updates include kitchen backsplash & direct exhaust fan to outside. * AMAZING VALUE! MLS#21632508. Capstone International, LLC. Woodgate - This home has great storage, including a “secret” room just behind the living room built-in bookshelves. MLS#21629172. Coldwell Banker - Kaiser. 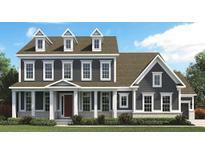 Westfield Farms - An HMS Home Warranty is included. Showings require 24-hour notice. 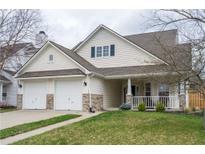 MLS#21632283. F.C. Tucker Company. Inviting two-story marble foyer, soaring great room with floor to ceiling windows, granite fireplace & beautiful hardwood floors open to gourmet kitchen with custom cabinetry, granite counters, double islands, upscale appliances, and pool access, sun-washed living and dining rooms with bay of windows, lovely main floor master suite w/patio access & updated bath with dual sinks, granite counters, jacuzzi tub & oversized walk-in dual shower, spacious upstairs bedrooms with private baths, newly remodeled walkout lwr Level with Media room, ex room & wet bar. MLS#21632105. F.C. Tucker Company. Award Winning West Carmel Schools. Neighborhood pool. MLS#21631646. WKRP Indy Real Estate. 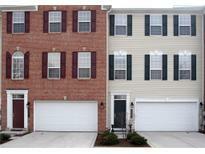 Brandywine - Great Location To Parks, Dining, Shopping, Easy Access To Interstate. MLS#21631456. F.C. Tucker Company. Woodland Springs - Must see. Shows pride of ownership. MLS#21632023. Berkshire Hathaway Home. 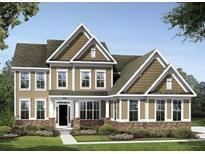 Carmel Village - See supplements for more features and updates! MLS#21632054. Keller Williams Indy Metro NE. Emerald Crest - Terrific location, convenient to Arts & Design District, shopping & dining. MLS#21631086. Coldwell Banker - Kaiser. Hunters Creek - Great backyard for entertaining with fenced yard, large 2 tiered deck and storage shed! 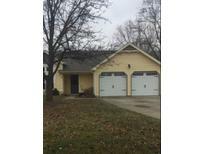 Close to Monon and interstate! MLS#21631342. RE/MAX Advanced Realty. Village At Weston Place - Weston Amenities Include Pool, Clubhouse And Tennis Courts. MLS#21630946. F.C. Tucker Company.